I am currently a non-stop long-sleeved tee shirt-making machine. Behold! I love the contrasting cuff on the three-quarter-length sleeves here. That wasn’t totally intentional: I knew I wanted to use both colors of fabric, but I wasn’t completely sure how I wanted to make that happen. I actually did put on a contrasting hem band, but it made the overall length really unflattering, so it was chopped off. 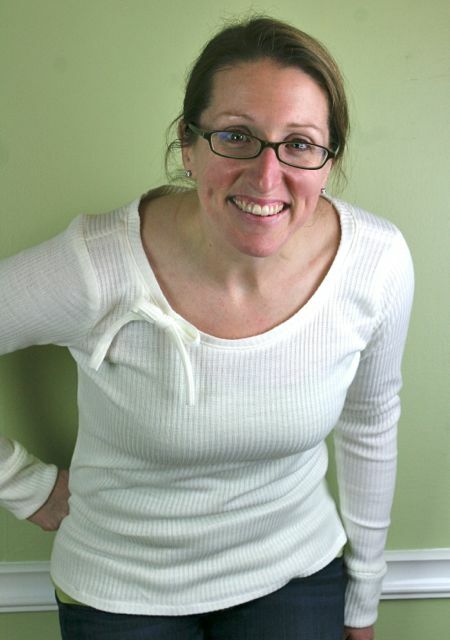 And once I did that, I realized I love the little pop of green just at the sleeves, and nowhere else. 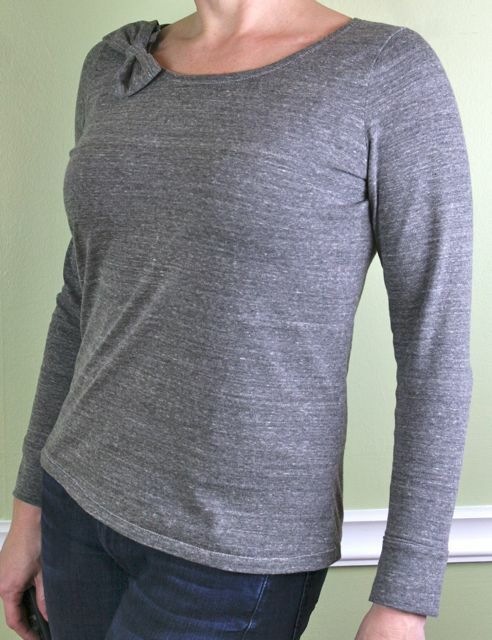 This is a cotton interlock, so it has a lot of body and is super warm, and it fits in a slightly more structured way than a softer jersey with more drape would. I have piles and piles of jersey, too, so I figured: why not make more? Right? Come strong or don’t come at all, that’s our family motto. 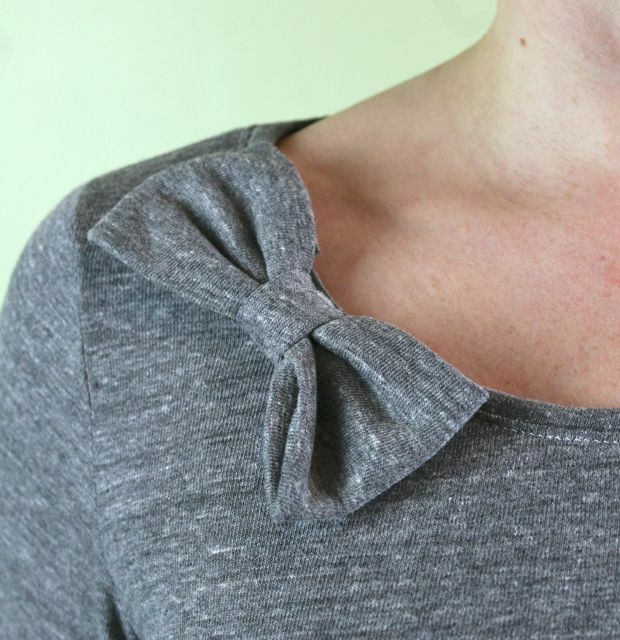 This is version two, in a really wonderful heathered cotton jersey from Girl Charlee. As I was sewing it, I thought about what it would feel like to have an entire drawer of 65 tee shirts, all that fit perfectly but in different colors. And the answer came to me: pretty boring. Because as much as I adore having piles and piles of tees, the ones with nothing special about them get layered under other things. I don’t need more layering pieces, I need more unique pieces that are wearable and reflect my daily style. Hence: the bow. A simple embellishment that doesn’t change the usefulness or wearability of this top at all, but sets it apart just enough from the everyday and mundane that (1) it’s a more interesting and fun piece to wear and (2) it’s worth making it myself rather than getting at the store. 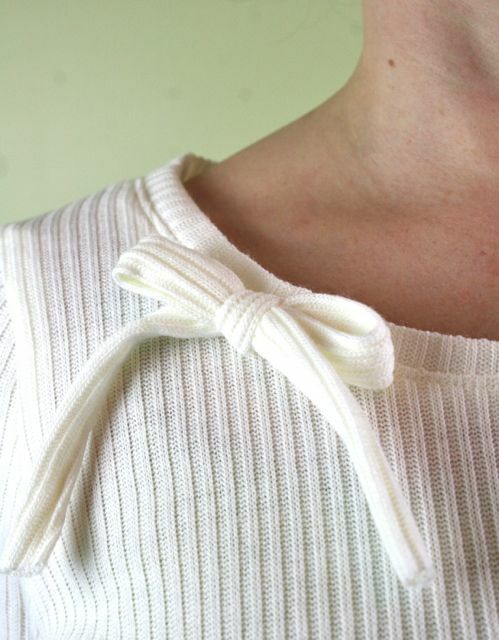 I used a modified version of Dana’s bow tutorial to make this one, with a slightly wider bow body and narrower center band, and I sewed it in place by hand both behind the center band and at the upper corner of the bow, to prevent it from drooping or getting too roughed up in the washing machine. When the shirt was finished, even though I lengthened the sleeve from the blue polka dot version, they were still shorter than I wanted. I had planned to sew a banded finish, anyway, so I went ahead and cut it extra wide–a full three inch cuff here on these sleeves. It brings them to just above the wrist, and it’s sooo comfy. These cuffs are just rectangles of fabric cut to the width of the sleeve and the length of twice the desired finished length of the cuff (in this case, they were 8″ x 6″ rectangles). I folded in half and sewed the raw edges to the sleeve end, then topstitched the seam allowances in place. They’re nice and stretchy, but they’re not “quitters”–you know, when they stretch but don’t recover? I hate that. These don’t do that, and this is officially my new favorite shirt. 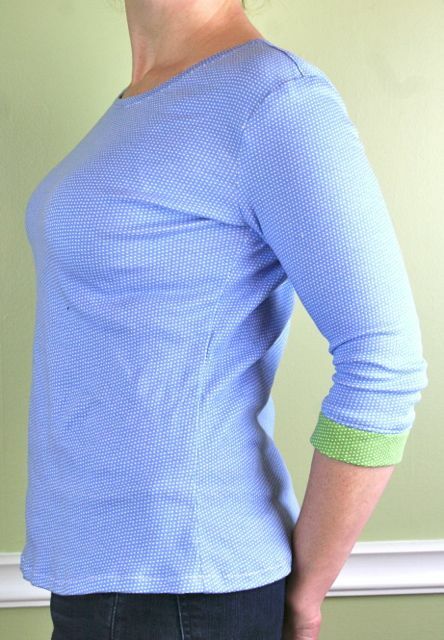 I’m not convinced this is the most successful of this batch, since it calls to mind thermal underwear just a smidge, but it’s a lovely wool blend with a narrow rib, and I like the sweater knit feel in a tee shirt–I mean, who makes a tee shirt from a mid-weight sweater knit, right? Just different enough, without trying too hard (and if I could summarize my behind-the-scenes style philosophy, that phrase would come pretty close). I added the stringy bow to make it a bit more feminine, and to call the eye away a bit from the extended cuffs, which I thought would look less like long johns when I saw them in my head. Because this is wool, it’s a lot less clingy-drapey than the jersey on the grey version, and it does have a distinctly sweater-y feel to it, one that I really like. 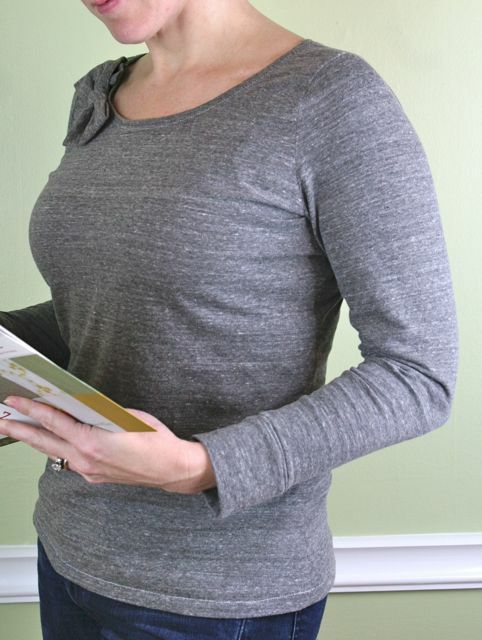 This works as a tee, which can be layered under a bulkier sweater in colder months, or as a mid-weight top that can be worn layered over a tank in the spring. Plus, the winter white is really easy on the eyes and goes with everything. I didn’t find sewing with the rib knit at all different from sewing with the jersey or interlock, even though this is a looser sweater knit. I still used a stretch needle (because I didn’t have a ballpoint on hand and the stretch needle was new–newer needles always seem to do better on knits), still used my lightning stitch, and still used my walking foot. The one exception is the bow, which I cut on the length of grain and sewed with a straight stitch, because I didn’t need or want any stretch on it when I tied the bow. The tube for the bow was sewn on the machine, and the bow was stitched in place by hand. This fourth version is superbly successful, and not just because it’s in my signature Whipstitch color. 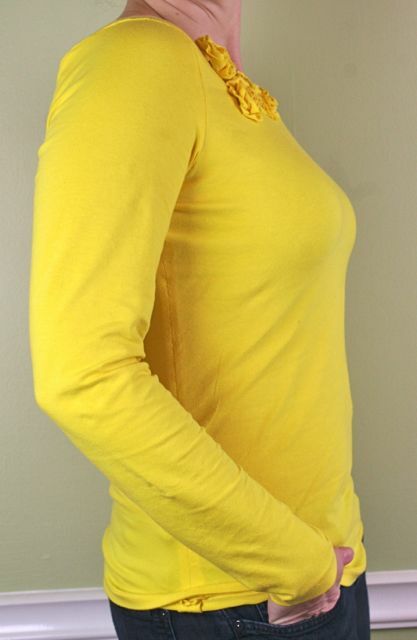 This bright yellow is a bamboo/rayon/Lycra jersey that I picked up from Fabric Mart Fabrics a while back–I bought it in four different colors, and I have no idea what I thought I would do with it, but got two yards+ in each color, so this was as good a time to sew it up as any. I adore the little jersey rosettes, which were wonderfully simple to make (I modified this tutorial and again sewed them in place by hand). The Lycra gives it incredible recovery, so this is a hefty knit with lots of strength to it. It clings in all the right ways, but it can be cut with a little additional ease if you want it to fall away from the body. I found it especially easy to work with as I was making the little rosettes, because it behaved so nicely. I have a length of this in an apple green that I can’t wait to make into the perfect summer maxi dress (along these lines, but I haven’t settled on a pattern selection yet). 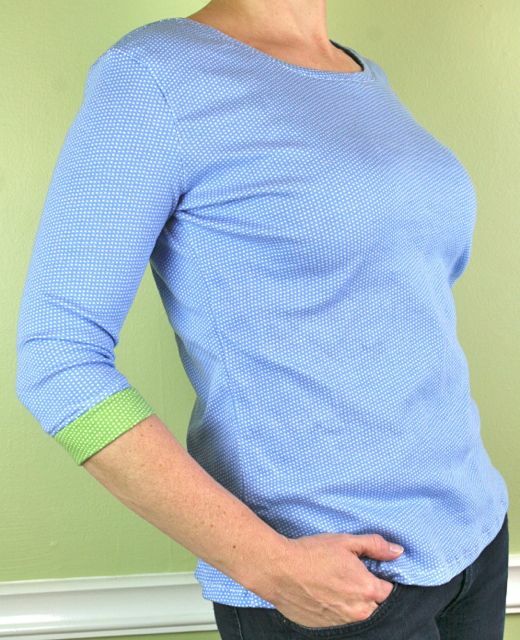 The sleeves are much longer on this one, and just have a simple hem on them–like the hemming on the bottom of each of these, I turned under a 5/8″ hem allowance a single time, then used my lightning stitch to sew it in place. Usually I’d have gone for a double needle and some wooly nylon in the bobbin, but again: I didn’t have a double needle on hand, and I was IN THE ZONE. So, single row of stitches and a single-turned hem. I trimmed any excess fabric to just beyond the stitch line to avoid lumpiness. In the photo above, right at the side seam near the hip, you can see the seam allowances, which reveal that I sewed every one of these shirts with just my sewing machine. I own a serger, but sometimes I just don’t feel like dragging it out from under the table and finding a spot for it, and with knits, you really don’t need it to finish off your seams. I used my lightning stitch and a walking foot, and that’s it–even on the hems. They all turned out beautifully, and I’m really pleased with how professional they look. I only wish I’d slowed down enough to put tags in the back neckline of each one as I was working! I love that all of these look really different, but they’re the exact same pattern with very small modifications. Having a go-to self-drafted tee shirt pattern is absurdly empowering, and really makes it easier to whisk right by the tee shirt displays in the shops. 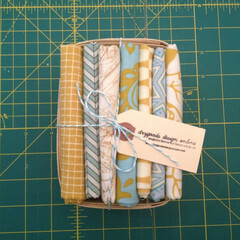 Making the pattern is really fun and simple, but refining it was what made this project so enjoyable. Getting the sleeve cap juuuuust right and the fit of the shirt in the body–not too snug and not too loose, just enough ease for nearly any fabric–was actually more exciting than you might think (or else I’m a much bigger nerd than even I knew, which is saying something). It’s a recursive process, pattern drafting, but it is tremendously rewarding to work through how to change the lines you’ve drawn to get just the fit you want–it’s like a puzzle that comes together, and I had really way more fun than I should admit. I wanted a pattern that would be nearly universal–a Perfect Tee. It has taken me a number of iterations, but I think I nailed it here. At the absolute minimum, I’m not in any danger of running low on long-sleeve tee shirts for the remainder of the winter! If you’re interested in drafting your own tee shirt pattern, there’s just enough time for you to join us in the Flat Patternmaking class–we’re making the tee this week! 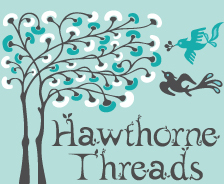 For more information on sewing with knits, Rae’s KNITerviews series is really excellent, and packed full of great links and resources and ideas. 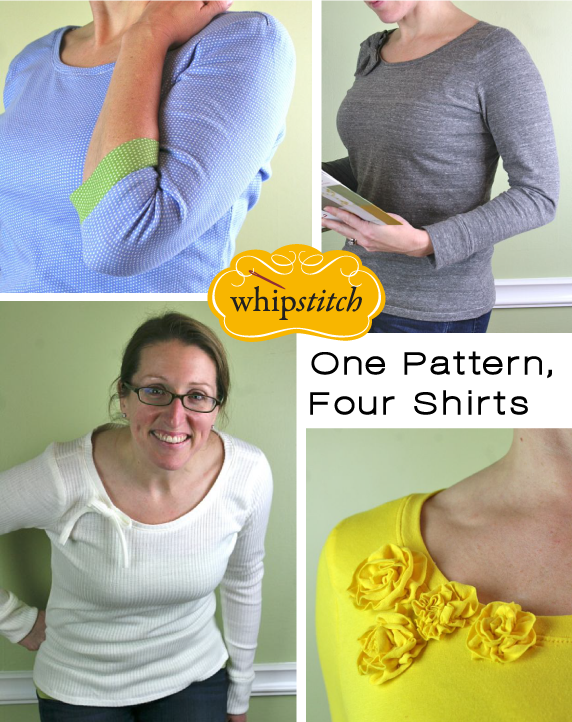 To learn more about sewing knits with just your sewing machine, you can register for my Sewing Knits without the Serger to learn more about working with knit fabrics exactly the way I did as I made all these tees! 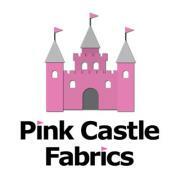 ← Sewing Buddies 2014: Deadline Approaching! great shirts, and you are totally adorable! Aw, thanks for saying that! 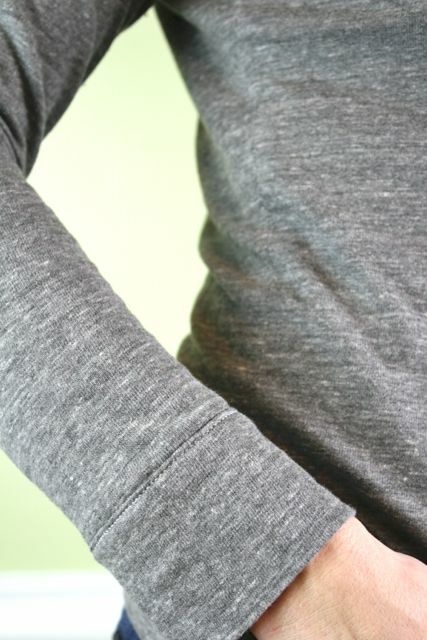 I’m just so excited that I won’t be freeeezing the rest of the winter–all these long sleeves! It’s like Christmas all over again! Great tops! How do you get your hems so neat on knit fabric…even with a double needle I often end up with that wavy effect! Any tips? I used my lightning stitch (looks like a zigzag, but crooked and skinnier) and a walking foot, and every hem came out just fine–much better than when I used to use my regular zigzag, even with the walking foot. Some of these are jersey, some are interlock, and one is sweater knit and they all turned out great using just that stitch! If that still doesn’t work for you, you can try either a double needle with wooly nylon thread in the bobbin (which gives more stretch so it can prevent waviness) or stabilize the hem with wash-away fusible before hemming, to keep it from stretching. 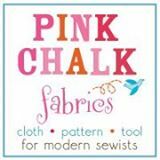 My Sewing Knits online class covers all these tips with a bunch of printables, too! 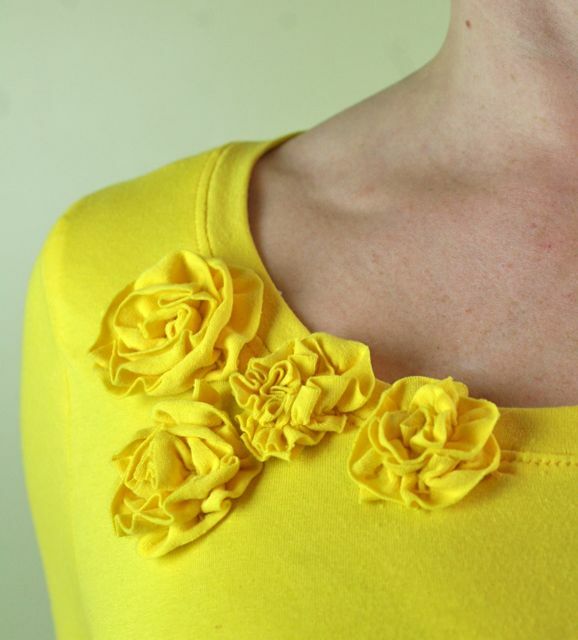 Once you figure out the best combination of thread and stitch for your machine, it is suddenly addictively rewarding to sew your own tees and knits. These are great! I just started following you here and am so disappointed that I wasn’t able to take this class (simply bad timing)! Is there any chance you will offer it again another time? I have just been dying to learn how to draft, but had never thought about checking out online classes like this, until I saw yours! Later this year the course will be available again, just without the live component–all the same content, accessible forever, still with a comments system so you can interact with me directly, but minus the live chats and opportunity to submit homework. 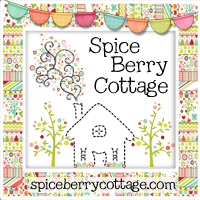 I’d love to have you join us when it becomes available again!